Do you want to surprise your loved one, congratulate your loved one on your birthday or your beloved woman on the 8th of March? Delivery of balls is a great way to surprise and please your loved ones or friends. 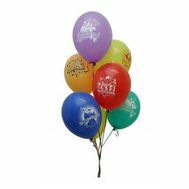 Order the delivery of balloons, and our courier at any time of the day will bring to the designated hour a beautifully decorated greeting bouquet of balloons or simply a large bunch of bright colorful balls. What can be more beautiful than to wake a loved one on his birthday with such an original bouquet? 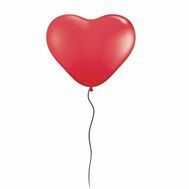 A bunch of balloons can create a festive atmosphere and add warmth and joy to every heart. Order a bouquet in the office, in a cafe, restaurant, just home. 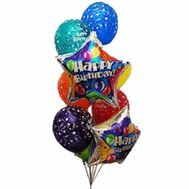 Order your favorite or child a bunch of balloons - and this will be the best gift for the holiday. 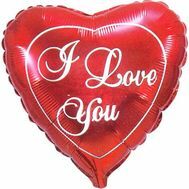 How pleasant it will be for a loved one to get a bouquet of heart balls from you in the morning. 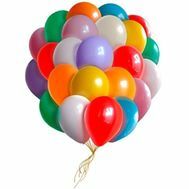 Imagine a joyful surprise on the face of your friend, friend or someone you love, when, opening the door, he will see a bunch of colorful flying balls. 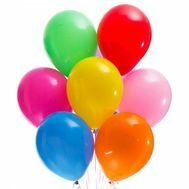 The simplest bouquet of balls can be just a bunch of colored balls with helium. 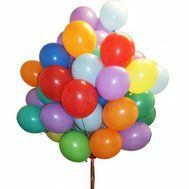 Also, we are ready to compose congratulatory bouquets from special balloons with wishes for birthday people and smiling balls, hearts of various colors for lovers. 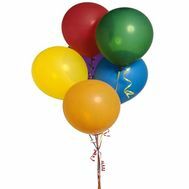 Order the delivery of balloons home or in the office and you will be sure that your gift will be the most original!